I have to say I love this book. Like many I go through reading phases, including but not limited to: YA Fantasy and Sci-fi, YA Romance, Adult Fantasy and Sci-fi, Comfort Rereads, Biographies, Radiolab-esque nonfiction, and the genre that Alice + Freda Forever falls under, True Crime. 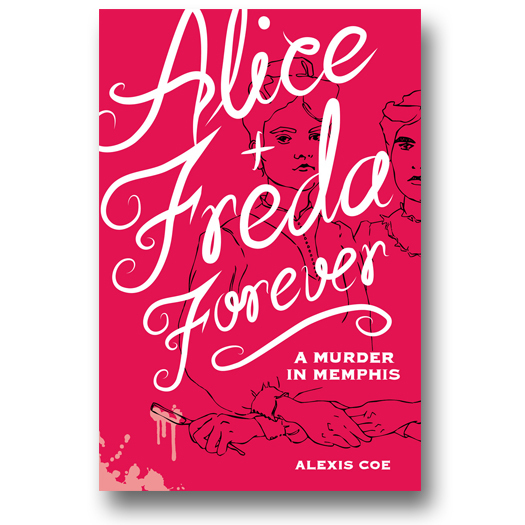 One of my favorite true crime stories is that of Juliette Hulme and Pauline Parker, which, while a different story, does contain a couple of similar elements (which is something I asked Alexis about in my interview with her, which you can read here), so when the chance to read Alice + Freda Forever came up, I quickly took it. In my work as a youth librarian who works closely with educators, I often think about how the books I read could be used by teachers, and I can see a lot of ways that Alice + Freda Forever could be used in high school classrooms and even in college classrooms, in addition to just being a great, high-interest read. 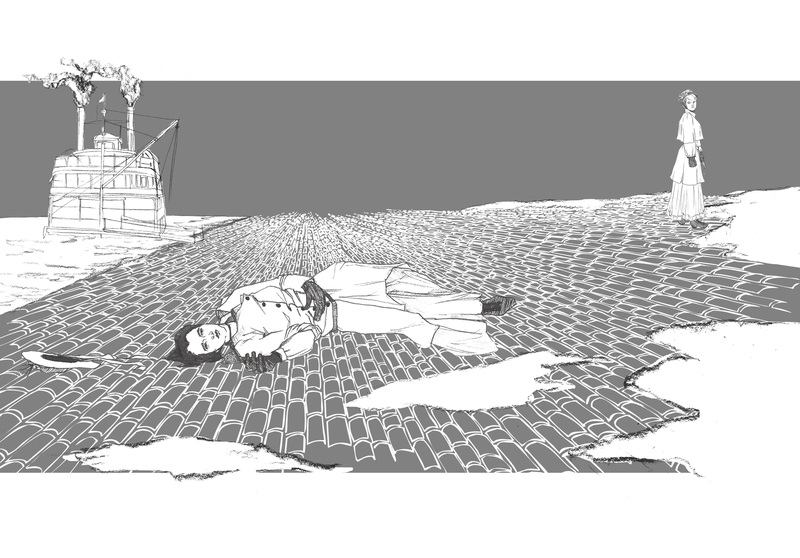 Pair it with Orlando and discuss gender identity, or with In Cold Blood to compare and contrast murder narratives. Assign it in a course about civil rights along with reading the works of Ida B. Wells. Include it in a reading list about obscure and outdated diseases. The possibilities are endless and that is, for me, a mark of quality nonfiction. Although this book is definitely aimed at an older audience, with upper high school at the low end, I am really, really happy to see the copious amount of research that was done, and the list of sources that were referenced. Nonfiction for youth, despite being an in demand property, is, in my opinion, often lacking in references and source material, and the authority of the author is often questionable (have you noticed how many former lawyers write children’s nonfiction these days?). This is not the case with Alexis Coe, I am glad to say. I also thought the design of this book was beautiful, and spot on for its audience. I can see teens who enjoy graphic memoirs easily embracing this beautifully illustrated title, and reluctant readers being pulled in by the striking red cover. At Zest Books, we’ve been publishing nonfiction books for teens and young adults since 2006, but we’re growing up a little bit in 2014: Today we’re proud to announce our launch of Pulp, an imprint for “new adults.” Like our previous Zest titles, the books in the Pulp imprint will include contemporary and narrative nonfiction books, specializing in memoirs, graphic novels, and art and humor books, but for a slightly older audience. […] We’re looking forward to taking even more risks with these books, especially in terms of how we cover our topics. Many of our Zest authors were coming to us because, as readers, they appreciated our honesty and curiosity, but that sensibility is something that has value for adults as well. In fact, that sensibility is already being reflected at sites like Rookie and The Toast, where some of our current authors now publish. Additionally, the issues that we’re now covering for teens—such as sexuality, health, behavior, and relationships—shift significantly as young adults mature, and the Pulp line allows us to expand both what we can cover and how we can cover it. Some of our Pulp books will have immediate appeal to teens in the same way that our Zest Books titles often sell into the adult market. We embrace that fluidity, while at the same time recognizing a need to let booksellers and librarians know how our respective books are intended. (Emphasis added. Via Zest’s website). Anyway, this book is a great read and belongs in most public and academic library collections, and could certainly see some applications in upper high school courses. Highly recommended.